Psychomotor agitation is an increase in purposeless physical activity often associated with depressive and manic episodes of bipolar disorder. It's a classic symptom that most people readily associate with mania: restlessness, pacing, tapping fingers, dashing about meaninglessly, or abruptly starting and stopping tasks. While psychomotor agitation can take many forms and vary in severity, it is an indication of a mental tension that cannot be managed and one that manifests physically with frenetic activity. During a manic episode, psychomotor agitation will usually be accompanied by racing thoughts or "flight of ideas." When this happens, thoughts and emotions often become so overwhelming that they are literally channeled into physical motion. This agitation is commonly accompanied by something known as pressured speech, a type of frenzied, rapid-fire talking that can border on babbling. During a manic or hypomanic episode with mixed features, people with bipolar disorder will experience depression alongside the agitation and anxiety that come with mania. It's a period of increased vulnerability where a person may seem more irritable and emotionally fragile than during a manic phase. During a depressive episode, agitation may seem contradictory to the emotional state but is actually a common feature of this phase. Rather than it being an expression of manic behavior, psychomotor agitation is fueled by the anxiety and helplessness one inherently feels during a severe depression. When faced with psychomotor agitation, it is important to explore all possible causes before prescribing medication to treat it. In some cases, the drugs used to stabilize moods during a depression can cause extreme anxiety and, in some cases, even suicidal thoughts. At other times, an event, co-existing condition, or illness unrelated to bipolar disorder may have triggered the response. In the end, it's important to never make assumptions, whether you are the person living with bipolar disorder or a loved one coping with the sometimes extreme emotional changes. 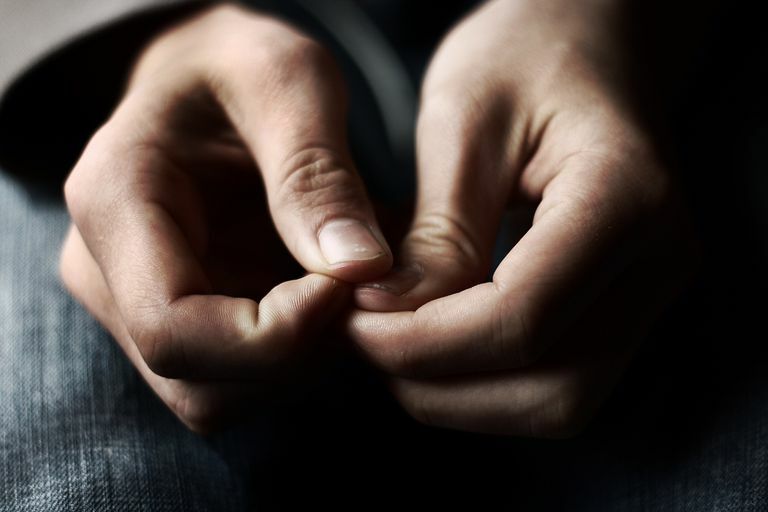 Once all other issues are ruled out, treatment will focus on the gradual reduction of anxiety using medication, counseling, self-help techniques, or a combination of the above. Anticonvulsants or mood-stabilizing drugs may be especially helpful during a manic phase. By contrast, atypical antipsychotics can often help when agitation occurs during a depressive episode. Anti-anxiety medications such as benzodiazepines may be prescribed to help manage generalized anxiety. In addition to drug treatment, cognitive (talk) therapy is considered important in the management of anxiety disorders. Self-help techniques can include meditation, exercise, yoga, breathing exercises, music therapy, and the avoidance of any emotional trigger known to cause anxiety. Hu J, Mansur R, McIntyre RS. Mixed Specifier for Bipolar Mania and Depression: Highlights of DSM-5 Changes and Implications for Diagnosis and Treatment in Primary Care. The Primary Care Companion for CNS Disorders. 2014;16(2):PCC.13r01599. doi: 10.4088/PCC.13r01599. Leventhal AM, Zimmerman M. The Relative Roles of Bipolar Disorder and Psychomotor Agitation in Substance Dependence. Psychology of Addictive Behaviors : Journal of the Society of Psychologists in Addictive Behaviors. 2010;24(2):360-365. doi: 10.1037/a0019217. Piguet C, Dayer A, Desseilles M, et al. Phenomenology of Racing and Crowded Thoughts in Mood Disorders: a Theoretical Reappraisal. Journal of Affective Disorders. 2010;121(3):189-98. doi: 10.1016/j.jad.2009.05.006.